On 29 May 2015, the current Ukrainian government made a jaw-dropping move. As if Kiev’s controversial de-communization laws were not enough, the new government decided to appoint Georgia’s provocative ex-president Mikheil “Misha” Saakashvili to the post of governor of the Odessa Oblast. Immediately prior to this (literally within hours), Ukrainian president Petro Poroshenko granted Saakashvili Ukrainian citizenship, thus making him eligible for the governorship. On Twitter and Facebook, future governor Saakashvili expressed his love for Odessa. Needless to say, Saakashvili is no Prince Vorontsov. Unabashedly pro-Western and hawkishly anti-Russian, Saakashvili is regarded by many as one of the most unstable politicians in the entire former Soviet Union. It was he who recklessly launched the disastrous South Ossetian war in 2008. Currently, he is a wanted man in his native Georgia, charged with abuse of office. In fact, Prosecutors in Tbilisi are seeking an Interpol Red Notice for his arrest. Further, Russia, acting on behalf of Georgia’s breakaway province of South Ossetia, is also seeking the arrest of Saakashvili in connection with war crimes from the 2008 war. This has not prevented Saakashvili from periodically threatening to return to Georgia via revolutionary means, despite the fact that he is widely unpopular in Georgia. However, Saakashvili is very popular among officials in Kiev, where he retains many ties from his university days. As a supporter of the Maidan from the very beginning, Saakashvili became an advisor to the Ukrainian government. Many officials from his former administration in Georgia, including some also wanted in Tbilisi, have joined him. This has sparked protest, outrage, and indignation from Georgia, its breakaway province of Abkhazia, and Russia. None of this seems to have fazed Kiev, which appears to dismiss and act in defiance of these protests, especially those from Tbilisi. In fact, not only has Kiev refused to extradite Saakashvili back to Georgia, but it is also widely believed to be obstructing the Interpol Red Notice arrest issued against Zurab Adeishvili, Georgia’s controversial former Justice Minister under Saakashvili. There is also the question of Saakashvili’s Georgian citizenship. According to Georgian law, Saakashvili cannot be both a citizen of Georgia and a citizen of Ukraine simultaneously. As such, Saakashvili will have to be excluded from the Georgian political process because under Georgian law, foreigners cannot participate in Georgian politics. This will also mean that Saakashvili will have to resign as chairman of the pro-Western United National Movement (UNM) opposition party in Georgia. That party has already seen a string of resignations this past week and declining popularity in Georgia in general. If Saakashvili resigns as the UNM’s chairman, it may further diminish its presence in Georgian politics. Davit Saganelidze, the leader of Georgia’s parliamentary majority, told reporters that the decision to appoint such a “deranged person” to the post of governor of Odessa was a “very serious mistake on the part of Ukrainian authorities.” He also stated that he sympathized with the Ukrainian people. As if this were not enough, the oblast to which Saakashvili has been appointed to govern is a hotbed of anti-Kiev activity and resentment. The memory of the terrible Odessa Massacre of May 2014 is still very fresh in the minds of many Odessans. In that massacre, 48 people were killed, largely anti-Kiev activists. Most were burned to death in the Odessa House of Trade Unions. Independent research confirms that Right Sector (Praviy Sektor), together with far-right football hooligans known as the Ultras, were responsible for what had happened. However, official Kiev, which is allied with these nefarious groups, has tried to downplay the tragedy and instead blame it on the anti-Kiev activists, contrary to the evidence. As such, opposition to the Kiev government is seething among many in this multicultural port city, a Black Sea cultural center renowned for its sense of humor and its mixed Russian, Jewish, and Ukrainian heritage. The recent Trade Unions massacre re-awakened bad memories of World War II. This is due especially to the presence of far-right groups, like Right Sector, within the Ukrainian government. Kiev relies on these extremists to clamp down on free expression and political dissent in Odessa. This has created much anger that is barely contained by the Odessan public. As for President Poroshenko, his move has certainly “left a large number of political observers at a loss for explanation,” remarked the BBC. “Many are struggling to see the strategy behind naming a former leader of another country to run a provincial government… The move could be a stroke of genius on Mr. Poroshenko’s part — or a blunder of breathtaking magnitude.” Many Georgians who know Saakashvili all too well would most certainly agree with the BBC’s latter assessment. There have been different possible explanations as to why Poroshenko decided to appoint Saakashvili to be the governor of the Odessa Oblast. Some have speculated that the “chocolate king” (as Poroshenko is known) sought to simultaneously annoy Moscow and send a message to controversial oligarch and former Dnepropetrovsk governor Ihor Kolomoyskyi, who finances many of Ukraine’s notorious volunteer battalions. Others regard it as a desperate move by Kiev, amid a growing thaw between Washington and Moscow, to regain full but diminishing Western support in a belief that Saakashvili still commands a “hero” status in the West. I saw that Saakashvili’s team has failed to succeed there [in Kiev]. Reforms are on hold; the Ukrainian people and the media have serious questions about these so-called experts. He was sent away from Kiev because he was unable to carry out reforms. I have no doubt that he will not do any better in Odessa. It’s a message of warning for the Ukrainian people and media. Overall, whatever the motives for Kiev’s move, the appointment of Saakashvili has certainly raised eyebrows among serious observers of the region. Yet, whether it raises eyebrows for Kiev’s Western backers and supporters will remain to be seen. Georgia and Ukraine: The End of the Special Relationship? Giorgi Kvirikashvili and Kakha Kaladze, the Georgian Economy and Energy Ministers respectively, arrived in Kiev on 30 January for a meeting with Ukraine’s Economy Minister Aivaras Abromavičius. This goodwill trip is the first such meeting to be held between Georgia and post-Maidan Ukraine. Georgia and Ukraine are known to have a history of good relations. They became particularly close in the wake of the Rose and Orange Revolutions of the 2000s. The Georgian government of Mikheil Saakashvili and the Ukrainian government of Viktor Yushchenko made common cause together, enhanced by Saakashvili’s contacts in Kiev from his days as a university law student. Both governments were united by their aspirations for NATO and EU membership, their total loyalty to Washington, and their pro-Western, anti-Russian nationalist discourse. Given this history, one might expect that the first visit of Georgian state officials to post-Maidan Ukraine would be greeted with more pomp and circumstance. However, relations between the two states have deteriorated significantly since the Maidan Revolution last year. Today they can be best characterized as less-than-warm. At face value, the two present governments in Georgia and Ukraine could not be more different. Georgia today has a government run by pragmatists who seek to balance their relations between Russia and the West while keeping Georgia’s national interests at the forefront. Meanwhile, Ukraine has a government dominated by pro-Western, anti-Russian nationalists with a significant and disturbing presence of far-right and neo-fascist elements. Kiev stands unyielding in its totally unbalanced approach and extreme positions. However, it would be incorrect to say that the decline in relations was an inevitable development based on the widely divergent natures of the two governments. Ultimately, it was Kiev’s provocative actions that made such a deterioration virtually unavoidable. Specifically, the post-Maidan government’s proximity to Mikheil Saakashvili and many of his former colleagues have alarmed officials in Tbilisi. The former Georgian president remains widely unpopular in Georgia today, not only because of the disastrous 2008 war but also because of his autocratic tendencies and abuses of power while in office. It is true that Saakashvili managed to clamp down on low-level corruption, endemic in so many ex-Soviet states. However, to the vast majority of Georgians, Saakashvili’s negative attributes outweigh any positive ones. Today, Saakashvili is a wanted man in Georgia. The former Georgian leader stands accused of abuse of office and is sought for questioning in connection with the murder of former Georgian Prime Minister Zurab Zhvania. Prosecutors in Tbilisi are also seeking an Interpol Red Notice for his arrest. Meanwhile, Russia, on behalf of South Ossetia, is pressing for criminal charges against Saakashvili for indiscriminate shelling and attempted ethnic cleansing against Ossetian civilians in the 2008 war. Following the old adage “your friends define who you are,” one would think that the new government in Kiev would want to keep their distance from a man like Saakashvili, who is wanted by his own country. However, this has evidently not deterred the post-Maidan Ukrainian government. Indeed, from the very beginning, Saakashvili and his crew were part of the drama in Ukraine. In December 2013, Saakashvili flew to Kiev where he addressed the crowds on the Maidan. After the overthrow of Yanukovych, Saakashvili emerged as an “informal advisor” to the interim Yatsenyuk-Turchynov government. This prompted protests not only from Georgia, but also from the government of breakaway Abkhazia and from Russia too. On Armenian television, Saakashvili’s participation in Ukrainian affairs was satirized. Speculation increased that Saakashvili would be appointed to a formal advisor position immediately following the election of Petro Poroshenko as President. At first, it seemed that Poroshenko would actually appoint Saakashvili, but amid renewed protest from Georgia, he backed down. Instead, Poroshenko appointed as an advisor the late Kakha Bendukidze, a close Saakashvili associate and the architect of controversial “shock therapy”-style privatization reforms in Georgia. Though adored by Georgia’s pro-Western elites, Bendukidze was reviled by much of the Georgian population. Specifically, he is held responsible for worsening the country’s widespread poverty. Bendukidze’s tenure as an advisor to Poroshenko was short-lived. After only six months in office, the Georgian shock therapist died suddenly of heart failure. Within the past two months, the drama in Georgian-Ukrainian relations has increased. In December, Poroshenko appointed two former Saakashvili officials (both Georgian nationals) to high government posts. These were Georgia’s former Deputy Interior Minister Eka Zguladze and former Healthcare Minister Aleksandr Kvitashvili. Both assumed the same respective posts in the new Ukrainian government. There was also talk of Poroshenko appointing the Saakashvili-era Justice Minister Zurab Adeishvili to an official post. Adeishvili faces criminal charges in Georgia and is wanted by the Georgian government via an Interpol Red Notice. Poroshenko even offered Saakashvili the position of Deputy Prime Minister, but Saakashvili declined. Georgian Prime Minister Irakli Garibashvili has been critical of Kiev’s closeness to former Georgian President Saakashvili. These actions by the Poroshenko government have been received negatively in Tbilisi. Pragmatists like Georgian Prime Minister Irakli Garibashvili have become especially vexed by Kiev’s apparent indifference to Georgian national concerns. However, they are not alone. Concerned Ukrainian citizens are also perplexed as to why Poroshenko would appoint Georgian nationals to high posts and not Ukrainian nationals. Poroshenko argues that this is due to pervasive corruption in Ukraine. Critics counter that it is in fact quite possible to find professional non-corrupt individuals in a nation of 45 million people. Saakashvili’s involvement in Ukraine and his total support for Kiev’s “anti-terrorist operation” in the Donbas have created even more problems. The former Georgian leader has been encouraging youths in the Georgian army to leave Georgia, fight in Ukraine, and join the pro-Kiev volunteer battalions, many of which have far-right affiliations and have been accused of war crimes by Amnesty International. The pragmatists in the ruling Georgian Dream coalition have strongly criticized such actions. Prime Minister Garibashvili has called Saakashvili’s efforts to have young Georgians give up their Georgian citizenship and fight in Ukraine an act of “direct treason” against Georgia. Despite all of this, Tbilisi, undeterred, has expressed its openness and readiness for friendly diplomatic relations with Kiev. In November, Prime Minister Garibashvili announced his intention to eventually visit Ukraine. Georgia’s Justice Minister Tea Tsulukiani echoed this interest. However, Ukrainian officials have continuously delayed these proposed visits, thus effectively preventing them from taking place. Some Georgian observers and politicians claim this is a deliberate effort by Ukrainian authorities to block the establishment of normal, friendly relations. Many attribute this to the influential position of Saakashvili and his political allies in Kiev. Whatever the cause for Kiev’s behavior, it is clear that Georgian-Ukrainian relations are unlikely to improve any time soon. Last week, on 24 November, Russian President Vladimir Putin visited Sukhumi, the capital of Georgia’s breakaway region of Abkhazia. There he met with Abkhazia’s de facto President Raul Khamjiba and together they signed a treaty of “alliance and strategic partnership.” Putin also pledged to grant Sukhumi over $200 million in aid from Moscow. The signed treaty prompted protests from the Georgian government calling it a “step toward a de facto annexation” of Abkhazia. Tbilisi has also called for international support. Evidently heeding that call, the US, the EU, and NATO all issued statements claiming that “it did not recognize” the treaty. The Western-backed government of Petro Poroshenko in Ukraine followed suit. Yet, statements like these are not likely to phase Moscow, which has recognized Abkhazia as a sovereign state since the 2008 South Ossetia war. It is concluding the treaty in response to a potential NATO presence in Georgia. The Russo-Abkhaz agreement was essentially a watered down version of an earlier draft treaty of “alliance and integration” proposed by Moscow. The text of that treaty envisioned a much more intensive relationship and would have represented a total integration of Abkhazia into Russia. The Abkhaz rejected this earlier draft, protesting that it “infringed on their sovereignty.” Instead, they proposed their own version. The new treaty signed on 24 November brings together elements of both the Russian original and the proposal by the Abkhaz. On the whole, the final version is less focused on intensive integration and more focused on a military alliance and cooperation between Russia and Abkhazia. Still, this has not prevented continued opposition to the treaty within Abkhazia, largely from the Amtsakhara party. Those opposed are motivated in part against the treaty, and in even larger part against President Khajimba who played a key role in the Abkhaz Revolution that overthrew President Aleksandr Ankvab in May. The Russo-Abkhaz treaty is an effective response by Moscow to the recent NATO aid package that was recently granted to Georgia. That package was granted to Tbilisi in place of a proposed NATO Membership Action Plan (MAP) for which Georgia’s pro-Western former Defense Minister, Irakli Alasania, had been lobbying. The MAP was vetoed by German Chancellor Angela Merkel. It would have signaled Georgia’s first step toward NATO membership. The new package that Georgia did receive contained promises to hold “occasional NATO exercises” in Georgia and to have a NATO training facility on Georgian soil. In this context, the Russo-Abkhaz pact was hardly a surprise. Russia made it very clear that it will not tolerate the expansion of NATO into the non-Baltic former Soviet space. Further, the Abkhaz and the Ossetes regard a potential Georgian NATO membership as a threat to their security. In this respect, the total pursuit of NATO by Tbilisi’s then-Defense Minister Alasania was viewed in Sukhumi and Tskhinvali as another attempt by Georgia to retake their regions by force. Despite reassurances by pragmatists in Georgia’s government that NATO was “not directed against anyone,” the Abkhaz and the Ossetes saw it as “proof” that “nothing had changed” in Tbilisi. High-level visits to Georgia by top Western defense officials, like NATO commander Breedlove and now-former US Defense Secretary Hagel, which were hosted by Alasania, did not help. To make matters worse, Moscow’s concern about a potential NATO presence in Georgia was openly rebuffed by Alasania. Not only did Alasania dismiss Moscow’s concerns outright, but also proceeded to say that Russia was the “only big threat to the region,” given its support for Abkhazia and South Ossetia and its “aggression against Ukraine.” Further, he said that Tbilisi would never “bow” to a “diktat” from Moscow when it came to establishing NATO bases on Georgian soil. The comments sparked indignation in Moscow and embarrassment in Tbilisi. The controversial draft treaty of “alliance and integration” was proposed by Moscow only a few days later. It received a strongly negative reaction and outcry from Tbilisi. Some called the proposal a “de facto annexation of Abkhazia.” Sukhumi also reacted negatively to it. Though Moscow expressed official “surprise” at the latter, in fact it was probably expecting that reaction. The intensive integration as envisioned in the initial draft was likely intended to wake up Tbilisi to the significance of Russia’s concerns regarding NATO. At his meeting with Russian Deputy Foreign Minister Grigory Karasin, Georgia’s Moscow envoy, Zurab Abashidze, expressed Tbilisi’s concerns with regard to the proposed treaty. Karasin responded that the proposed treaty only concerned Abkhazia and Russia. Further, he added, if Tbilisi was interested in peace in the region, it would tone down the rhetoric. Shortly thereafter, the hawkish Alasania was embroiled in a major political scandal in Georgia. This culminated in his dismissal by Prime Minister Irakli Garibashvili and the split of Alasania’s hardline Free Democrats from the ruling Georgian Dream coalition. Though there were concerns with regard to a potential political crisis, the government managed to avert this. Ministers who threatened to resign were persuaded by Garibashvili to stay, while the Georgian Dream not only retained its majority in parliament, but also expanded it. The scandal concluded when former Prime Minister, Georgian Dream patron and billionaire, Bidzina Ivanishvili, gave a public interview in light of the scandal, emphasizing that a crisis had been averted. Still, the Alasania scandal and the split of the hawkish pro-Western Free Democrats left an impact on Georgian politics that is still reverberating. In addition to this, the ruling coalition also faces ongoing tensions with Mikheil Saakashvili’s United National Movement (UNM). The UNM has made no secret of its contempt for the democratically-elected Georgian Dream and its desire to unlawfully overthrow it in a Maidan-style revolution. Such a scenario would be disastrous for Georgia, and many in the Georgian government realize this, especially with memories of the tragic 1990s Georgian civil war still fresh on the minds of many people. Yet this has not deterred Saakashvili. From Kiev, he addressed supporters via live video at a recent anti-Russian rally in Tbilisi against the “annexation” of Abkhazia. The Tbilisi-born, urban-educated Saakashvili then insulted Ivanishvili’s peasant roots and provocatively alluded to a possible Maidan scenario for Georgia. In a separate speech in Kiev, Saakashvili bombastically declared, in a racially charged statement, that Moscow was the “new Tatar-Mongol yoke.” The controversial ex-President is currently wanted by Georgia and has been recently indicted for obstructing justice in the high-profile Sandro Girgvliani murder case. However, this evidently has not prevented Ukrainian President Petro Poroshenko from considering Saakashvili for the post of Ukraine’s new Deputy Prime Minister. The ruling Georgian Dream also faces internal tensions with the Republican faction of its coalition. Headed by Parliamentary Speaker Davit Usupashvili, the Republicans represent the last major bastion of pro-Western hardliners within the Georgian Dream. They opposed the pragmatist position on the question of the Interior Ministry’s access to surveillance. The pragmatist-backed bill presented in parliament, favored by Prime Minister Garibashvili, proposed allowing the Interior Ministry to have direct access to networks of telecommunications service providers with the purpose of conducting court-approved communications monitoring. Instead, Republican MP Vakhtang Khmaladze proposed a competing bill which would deprive the Interior Ministry of all direct access to telecom networks. In addition, the Republican bill sought to transfer network access to the Georgian National Communications Commission (GNCC). However, the GNCC appeared unwilling to get involved and to assume this responsibility. Notably, the pro-Western Republicans were not the only group who opposed the bill. Western-backed NGOs and the opposition Free Democrats and UNM also shared the position of the Republicans. At the same time, Alasania remains a bitter rival of Saakashvili, while Usupashvili is unlikely to leave the ruling coalition any time soon, despite signs of a growing rift. The bill backed by Garibashvili and the pragmatists passed with 75 votes in favor, much to Garibashvili’s relief. However, the pragmatist bill was also subject to a veto by President Margvelashvili who suggested amendments to it. Margvelashvili’s veto was less about his concerns regarding the debate than it was about him demonstrating his presidential power. His moved caused frustration in parliament with both the pragmatists and the pro-Western hardliners. In the end, the veto was overridden by parliament. Though the UNM declared that they would not participate in the vote to override the veto, two UNM members, Samvel Petrosyan and Koba Subeliani, voted in favor of overriding it. Working to enhance his position amid these recent developments, Garibashvili has also recently “moved to the right,” becoming more vocal in his support for European integration, alarming overtly pro-Moscow politicians like Nino Burjanadze. In Brussels recently, Garibashvili visited EU and NATO officials pledging Tbilisi’s total commitment to its “European choice.” NATO has sought to have Georgia implement its aid package by February. Such an implementation is likely to complicate dialogue with Russia and place Tbilisi in an even more difficult and precarious position. Garibashvili has also been vocal in the signing of the final Russo-Abkhaz treaty, calling it a “step toward annexation.” Yet it should be emphasized that Garibashvili and other pragmatists in Tbilisi are committed to continued dialogue with Moscow. In fact, Garibashvili recently reaffirmed this commitment publicly and Russian Foreign Minister Sergei Lavrov reciprocated it. It is also likely that Garibashvili still firmly believes that Russia is not genuinely interested in annexing the breakaways, as he stated in an interview with the BBC in June. Tellingly, Moscow did not protest his statements on Georgia’s Euro integration, indicating that it understands to some degree Tbilisi’s difficult situation. One way to move the dialogue forward would be to achieve the one-on-one meeting between Putin and the Georgian leadership, an idea that Putin himself proposed during the Sochi Olympics in February. This could set the stage for the restoration of diplomatic ties. In addition, there are confidence-building measures that can be fulfilled toward finding a peaceful solution to the situation. Though under-reported in the Western press, Putin also gave his support for the reopening of the Abkhaz railway during his visit to Sukhumi. This is very significant because it means that, in addition to Tbilisi, Yerevan, and Sukhumi, Moscow now officially supports the reopening of the railway. Consequently, there is now a regional consensus on the issue and a potential blueprint for a way forward. Abkhazia’s Raul Khajimba even stated that “the Georgians should be interested in restoration of the Abkhazian railway themselves” and encouraged Tbilisi to give a greater official impetus to start the process. Tbilisi is now indeed in a good position to do so. With Alasania gone and the surveillance bill passed, Georgia’s pragmatists are now in a relatively strong position. First and foremost motivated by love of country with Georgia’s best national interests at heart, they can proceed with continued dialogue with the breakaways and Moscow, regardless of any obstacles. Still, they must be cautious. If they can succeed, then a united Georgian republic can prosper once again. UPDATE (2 December 2014): Saakashvili reportedly declined Poroshenko’s offer for the post of Ukraine’s Deputy Prime Minister. Specifically, the former Georgian President cited the fact that, if granted Ukrainian citizenship, this would cause him to lose his Georgian citizenship. He does not want this to happen due to his continued political ambitions in Georgia. Significantly, several of Saakashvili’s former cabinet members have been tipped as possible Poroshenko appointees, including Georgia’s former Healthcare Minister Aleksandr Kvitashvili and former Deputy Interior Minister Eka Zguladze. Both will reportedly be appointed as Ukraine’s new Healthcare and Deputy Interior Ministers respectively. Former Justice Minister Zurab Adeishvili, who, like Saakashvili, faces criminal charges in Georgia, is yet another prospective government appointee. Official Tbilisi reacted negatively to these potential appointments, part of a broader effort by Poroshenko to bring foreigners into the Ukrainian government and grant them citizenship through special decrees. The move reportedly sparked controversy and criticism in Ukraine. Georgia’s recent scandal involving former Defense Minister Irakli Alasania is now winding down. The government managed to avert a crisis. Not only did they succeed in retaining their majority in parliament but also expanded it. The addition of independent MPs and defectors from Alasania’s camp have increased the Georgian Dream’s share of seats to 87, even higher than the original 83 prior to the Alasania scandal. This not only averted a potential new parliamentary election, but also now gives the Georgian Dream a comfortable and secure majority. In addition, the vacant ministerial posts have been filled. Prime Minister Garibashvili has also selected Tamar Beruchashvili as the new Foreign Minister. He also appointed Georgia’s former ambassador to Greece, Davit Bakradze (not to be confused with the Saakashvili political ally and former presidential candidate) as the country’s new Euro Integration Minister. A potential Georgian U-turn seemed more likely in late 2013 and early 2014, as Saakashvili left office. At that time, Georgia had not yet signed the EU Association Agreement and was scheduled to do so in far-off August. There were also emerging signs of a growing thaw between Moscow and Tbilisi, culminating in Vladimir Putin’s invitation to President Giorgi Margvelashvili during the Sochi Winter Olympics for a one-on-one meeting. However, the rapprochement was disrupted by the Ukraine crisis. The West redoubled its efforts to bring Georgia into its fold, by moving up the signing of the Association Agreement in June, by granting Tbilisi more EU aid money, and by persuading the formerly pro-Putin Georgian Orthodox Patriarch to become pro-EU. The fear of a possible Georgian Maidan and the tragic legacy of the 1990s civil war in Georgia also loom large in the thoughts of Georgia’s pragmatists. Therefore, a potential Georgian U-turn toward Moscow appears unlikely, at least for the time being. Also, much is contingent on how developments progress in Ukraine and if the cash-strapped, pro-Western government in Kiev can last. Still, the departure of Alasania’s Free Democrats and the government’s comfortable majority in parliament certainly does grant more maneuvering room for dealing with Moscow. Specifically, this gives the government a mandate for expanding relations with Russia beyond trade and economic spheres. For now, this will not mean that Georgia will abandon its pursuit of the EU and NATO, though without Alasania, such efforts will become less strident and aggressive. Likewise, it will not signal an immediate mutually acceptable solution to the longstanding Abkhaz and Ossetian conflicts. However, the new situation does create the conditions for the dormant high-level meeting proposed by Putin in Sochi to be realized, and for diplomatic ties to be restored between both countries. It will also allow for a greater dialogue between Tbilisi and its breakaways and for the realization of important confidence-building measures vital to future peace. For South Ossetia, this includes a possible reopening of the Ergneti market and, for Abkhazia, a possible reopening of the Abkhaz railway. The Abkhaz President Raul Khajimba has already offered his support for the latter. Some may contest the idea that Tbilisi would ever consider a serious rapprochement with Moscow. The Georgians, they argue, are simply too proud and nationalistic to let this happen. The Russians too, they would contend, would be unwilling to accept anything less than the total capitulation of Tbilisi, including its full recognition of Abkhaz and South Ossetian independence. However, such arguments are purely impressionistic, based on long-standing ethnic stereotypes played up by the media. In reality, there is nothing in the “Georgian national character” that makes all Georgians, by fate of their ethnic origins, inherently “nationalistic,” “Russophobic,” or “reckless.” Likewise the Russians are not “uncompromising, stubborn imperialists.” In fact, Russia has a history of flexibility, compromise, and openness – provided that its interests and international law and procedure are respected. In fact, the facts reveal a different story from the mainstream narrative. The vast majority of Georgians want to restore relations with Russia. According to a poll by Georgia’s Kviris Palitra newspaper, 59.4% of Georgians favor continuing the Abashidze-Karasin format. Only 19.7% opposed it, while 20.9% were unsure. The poll was conducted very recently, in October 2014 during the controversy over Russia’s proposed treaty of “Alliance and Integration” with Abkhazia. At that time, Georgia’s more hawkish politicians wanted to scrap the Abashidze-Karasin format entirely. In addition, a good portion of Georgians also favor membership in the Eurasian Union. In 2013, the pro-Western Caucasus Research Resource Center (CRRC) asked Georgians whether or not they supported membership of their country in the Eurasian Union. The results showed that 32% said “yes,” 24% said “no,” 27% said that they “don’t know” while a further 17% support some aspects of it but not others. If one adds the latter figure with the 32% in support, the total actually emerges as 49%. Another poll from the Kazakh-based Eurasian Development Bank from this year (2014) found support for the Eurasian Union among 53% of Georgia’s population. For comparison, support for the Eurasian Union in Armenia was 64%, while in Azerbaijan, it was 22%. A much earlier poll by Gallup conducted in 2008 found strong support in Georgia for deeper cooperation among the CIS countries. Overall, 11% favored a “single state,” while another 11% favored a “federal state,” and 32% favored an “economic union” for a total of 54% of the population. Meanwhile, 30% favored cooperation as independent states and 16% were “unsure.” In percentages comparable to the 2014 Kazakhstan poll, the total percentages of those who supported integration either as a single state, a federation, or an economic union, was 63% in Armenia and 28% in Azerbaijan. Taking into account these significant findings, if one were to attach the incentive of a potential Russian-backed peace deal for Abkhazia and South Ossetia, it would be difficult to imagine support for Moscow’s Eurasian Union not growing. In fact, it would likely increase substantially. In the case of the first two polls from Kviris Palitra and the CRRC, a consistent trend can be discerned. The majority of Georgians favor restored ties with Moscow, a significant number are still “unsure,” while a minority favors a total rejection of all things Russian. If one observes Georgia’s latest election (i.e., the presidential election of 2013), one finds a similar breakdown. Margvelashvili, the pro-Georgian Dream candidate, acquired 62.12% of the votes while the overtly pro-Moscow Nino Burjanadze received 10.19% of the votes. Together, this makes approximately 72.31% of the vote. Davit Bakradze, the UNM candidate, only acquired 21.72% of the vote. Therefore, one can conclude from the election results, combined with the polling data from Kviris Palitra and the CRRC, that the section of the Georgian electorate that is Russophobic, nationalistic, and overtly pro-Western, represents only 20-25% of the total Georgian electorate. However, within Georgia’s political and intellectual elite, the influence of this group grows significantly. This is enhanced by the fact that, in the 2012 parliamentary election, which was conducted while Saakashvili was still in office, the UNM still gained 40% of the vote, allowing them to maintain significant influence in the Georgian parliament. In addition, the two major pro-Western opposition blocs, the UNM and the Free Democrats, both have backers and supporters in the West, especially among the American political establishment, both Republicans and Democrats. Further, they are also supported by American-backed NGOs working in Georgia. These very friendly attitudes soured after the 2008 war. In the subsequent poll conducted in 2009 by Gallup, only 47% agreed with the statement that “Georgia has to have good relations with Russia by all means.” 37% agreed that “Georgia has to have a principal position regarding Russia.” Significantly, only 5% agreed with “terminating all relations with Russia,” which is effectively the policy that Mikheil Saakashvili pursued after the war and which the UNM continues to support today. The number of those who agreed with the statement that “it is more important for Georgia to have close relations with Russia even if this can harm relations with the USA” dropped to 28%. Meanwhile those who agreed that “it is more important for Georgia to have close relations with the USA even if this can harm relations with Russia” increased to 24%. Inquiring about the EU, Gallup determined that in 2008, only 14% agreed with the statement that “it is more important for Georgia to have close relations with the EU even if this can harm relations with Russia.” This increased in 2009 to 27%. Meanwhile, 33% said “it is more important for Georgia to have close relations with Russia even if this can harm relations with the EU.” This decreased to 22% in 2009. Finally, 44% of Georgians volunteered “it is equally important for Georgia to have close relations with both Russia and EU.” This decreased to 34% in 2009. It is indisputable that the development of these new attitudes was affected by the war and by Russia’s recognition of Abkhazia and South Ossetia. At the same time, it is also worth noting that people in Georgia became increasingly more afraid to express their opinions openly as Saakashvili’s regime became increasingly more authoritarian. According to Gallup, in 2012, only 17% of the population agreed with the statement that “no one is afraid to express their opinion.” This shot up to 40% in 2013, after the election of Bidzina Ivanishvili’s Georgian Dream party. For his part, Saakashvili’s approval rating in Georgia stood at a mere 22% in 2012 according to Gallup. The approval rating was exactly the same in August 2014, according to a later poll conducted by the CRRC for the National Democratic Institute (NDI). The figure again corresponds to the fact that about 20-25% of the Georgian electorate supports a tougher line toward Russia. Significantly, the latter poll also found that 73% of Georgians are presently dissatisfied with the current state of relations with Russia and that 65% supported the reopening of the Abkhaz railway. In another more recent CRRC poll, 91% of the Georgian population indicated that they still speak Russian as a second language, despite Saakashvili’s efforts to supplement this with English. For comparison in Armenia, 97% speak Russian as a second language while in Azerbaijan, 73% speak Russian. Still, as of August 2014, support for the EU and NATO remains high in Georgia at 78% and 72% respectively according to the CRRC’s NDI poll. This is despite the fact that, in a typical post-Soviet manner, many Georgians also support membership in the Eurasian Union. Indeed, many would claim to support “both,” especially in the regions. In the case of the EU, the majority (58%) believe that eventual membership will improve the Georgian economy. However, it must be emphasized again that the “vision” of Europe and the reality of Europe are very much different. Brussels is still recovering from the Eurozone crisis and it is unlikely that, if Georgia were to eventually join the EU, it would see any immediate economic benefit, as was the case with the bloc’s newest Eastern European members – Bulgaria, Romania, and Croatia. In general, all of this information illustrates that a significant pro-Russian sentiment does exist among the Georgian populace, regardless of claims to the contrary. Such support is most likely concentrated in the regions where poverty and unemployment remain widespread and where nostalgia for Soviet times persists. Consequently, if Georgia were to move toward Russia, concurrently with a Moscow-backed peace deal on Abkhazia and South Ossetia, it is conceivable that the “silent majority” of Georgians would support the government. Therefore, the major concern for the government would not be the majority of the people, but rather the pro-Western hardliners in the political elite and their supporters. In this regard, Tbilisi’s pragmatists face major challenges. Constant threats from Saakashvili and the UNM to launch a Georgian Maidan are being taken very seriously by the government. To a Georgian, such threats are especially troubling, given the legacy of the 1990s civil war in Georgia. If something like this were to happen, it would be a disaster for Georgia domestically and would seriously jeopardize very critical efforts at reconciliation with the Abkhaz and Ossetes. The stakes are high. In this context, the government was especially cautious and restrained during the UNM’s recent rally against the proposed Russo-Abkhaz “Alliance and Integration” treaty that took place in Tbilisi on 15 November. Thousands of protestors attended the rally, some carrying anti-Putin placards and signs that read “Abkhazia and Samachablo [a Georgian nationalist term for South Ossetia] are Georgia.” Addressing the rally via live video from Kiev, Mikheil Saakashvili told the crowds that there were two Georgias: “our Georgia” and “Ivanishvili’s Georgia.” Insulting Ivanishvili’s Imeretian peasant roots, Tbilisi-born Saakashvili bombastically declared that Ivanishvili’s “dream Georgia” is a “small, insignificant village that should not have regional ambitions” and that is “run by a provincial dictator.” He further provocatively drew parallels between the Georgian government and the government of ousted Ukrainian President Viktor Yanukovych. I do not think that anyone can overlook the tightrope Georgia is walking today. Radicalism is absolutely unacceptable and inadmissible in our country today. Any step other than a peaceful, prudent, and pragmatic policy may lead us to grave consequences. Imprudent actions and radicalism led Georgia to the 2008 war. This must serve as an example to everyone; we cannot build our decision making upon emotions. In light of the recent scandal in Georgia surrounding former Defense Minister Irakli Alasania, the Georgian billionaire and former Prime Minister Bidzina Ivanishvili gave an extensive interview on 8 November to the Georgian Public Broadcaster. For observers of Georgian and Caucasus politics, it was perhaps the most insightful interview Ivanishvili gave since he left office as Prime Minister one year ago. Commenting on the case, Ivanishvili emphasized that it was not a crisis. He also accused the media, especially the UNM-backed network Rustavi-2, of hyping up the issue. The billionaire has set his own sights on hosting a talk show on Georgian television. “There is a vacuum in objective information and objective analysis,” he said, “which misleads many experts.” He added that he hopes his new television program will adequately address that concern. In this regard, he has started “2030,” a new organization which derives its name from Ivanishvili’s vision of realizing a prosperous and advanced Georgia within 20 years. The organization will reportedly “prepare analysts” to appear on Ivanishvili’s new television program, which would also be called “2030” and which would be broadcast weekly for about an hour. Ivanishvili also spoke about relations with former Defense Minister Irakli Alasania, calling his allegations about the Defense Ministry “irresponsible.” With regard to the case, he noted that Alasania still has not addressed “serious questions” over the way in which the Defense Ministry handled the money and noted the suspicious haste in which ministry officials paid contract costs to winner companies in advance. “The question is why the ministry hurried to make payment in advance, when it has no money for ammunition?” Ivanishvili openly wondered. Ivanishvili then discussed criticism in this regard from President Margvelashvili. Though Margvelashvili sided with the pragmatists in the Alasania scandal by not challenging the dismissal of Alasania, he has also stated, in an apparent jab to Ivanishvili, that “the country should be ruled with strong institutions and not from the backstage.” His comment came amid a falling-out between the President and the billionaire. It is just impossible to rule the government from the backstage; who has any slightest idea of management, [knows] that it is impossible to manage the government from the backstage. I was in Ureki [at his Black Sea dacha] for six months and I’ve seen Garibashvili only once. Now look at this from my perspective – how [this allegation] insults me. How can you imagine me – with my biography and my past, I did as I said: I came [into power] and then quit… If I wanted to be in politics I could have stayed, who was obstructing me? As time goes by, Irakli [Garibashvili] is disturbing me less [with questions] and I am very happy about it. If previously he was calling me on phone once in a month or week, now two months can pass without him calling me. It is unclear what the precise outcome of the ongoing row between Margvelashvili and Ivanishvili will be. There could be a direct meeting between the two in order to create a common dialogue that will resolve their differences. An alternative might be that Margvelashvili, who is not a member of the Georgian Dream or any other party, steps down from his post. A third scenario would be the status quo, in which Margvelashvili will remain as President and continue periodic conflicts with the government, acting as a “decision maker” and a “wild card” factor in Georgian politics. For the time being, this third scenario appears to be most likely. Aside from Margvelashvili’s veto, Ivanishvili did not comment directly on the debate regarding surveillance regulation in Georgia, though he generally praised the Interior Ministry and appeared to lean more toward their position on the issue. 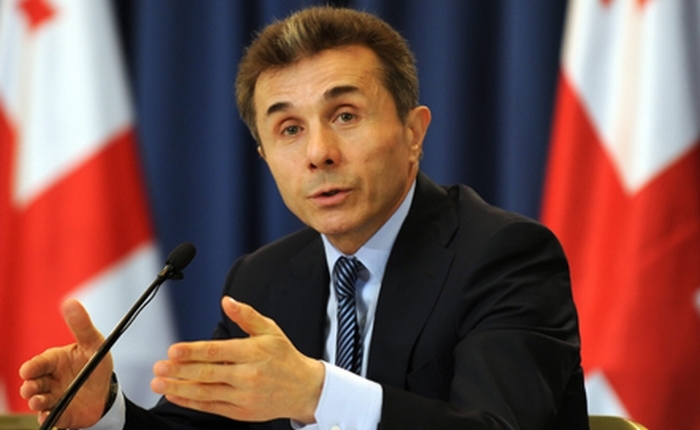 Overall, Ivanishvili’s assessments appeared largely balanced, measured, and sensible. He was cool, calm, and in control in his responses. The interview, broadcast on Georgian public television, likely will have the overall impact of heightening his popularity in Georgian society. By contrast, Alasania, who still commands a popular following, will likely see his credibility eroded by this most recent scandal, while Mikheil Saakashvili and his UNM – despite a planned upcoming rally – appear more politically marginal than ever. Overall, Ivanishvili remains a true Georgian patriot and perhaps the greatest statesman Georgia has seen in its recent political history. Thus his interview is important for those closely following developments in Georgia, the Caucasus, and the former Soviet space.